“Simple weather station with WiFi forecast and measuring of temperature, humidity, air pressure via MKR ENV shield. We got some of the brand new MKR ENV shields some days ago. These shields have several sensors (temperature, air pressure, humidity, UV…. ) 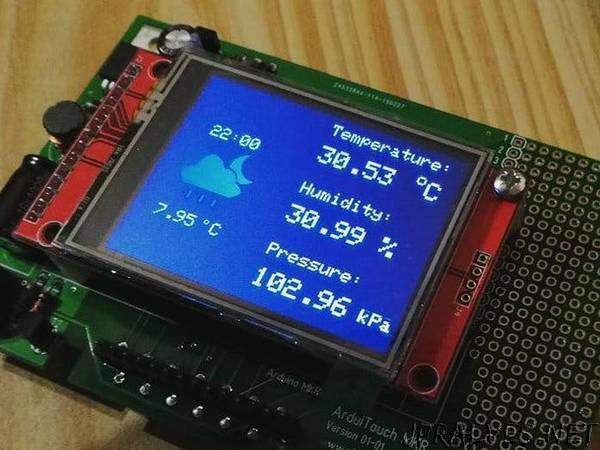 on board - a good collection to create a simple weather station together with our ArduiTouch MKR kit. We’ve used an Arduino MKR 1010 with WiFi as main board to receive some weather information for a simple forecast by openweather map.org.